With 20 years of training Jewish social justice leaders under our organizational belt, we’ve got a lot of experience. And we love to share it. Avodah Service Corps and Fellowship alumni are key players within the Jewish social justice field. Our Alumni Justice Ambassadors (AJAs) are trained to work with Jewish communities across the country to deepen their approach to social and economic justice, and to understand and engage with the most crucial issues that people in America are facing today. AJAs are available to speak, teach, consult and facilitate in your communities. We have taught at synagogues, Hillels, conferences and more. AJAs are primarily located in NYC, DC, Chicago, and New Orleans, though we have a few AJAs in other locations, and we may be able to travel to you. Click here for a menu of our current workshops, and please note that all trainings are designed to be about 2 hours in length (though we can adapt to fit different time frames), and are customized to fit the needs of your community. The trainings can be offered individually or combined to create a series. For teen audiences, we also have Tikkun Olam: Our Turn, a curriculum focused on helping them deepen their social justice projects. AJAs are available on a sliding scale to organizations, depending on organizational size. If you would like an Avodah Alumni Ambassador to lead a learning session with your synagogue, community, students, or other individuals, contact Avodah Rabbi-in-Residence Rabbi Danya Ruttenberg at [email protected] or fill out this form. Many people know that justice is a central tenet of Judaism, but fewer understand why that’s the case, or how our tradition has inscribed this value into our religious and cultural DNA. In this session, participants will explore some of the sources of Jewish approaches to justice work and the implications of this ancient wisdom in the United States today. They will also be introduced to the history of various Jewish leftist movements, and will grapple with the intersections of justice values and oppressive perspectives in the Jewish tradition. They will gain tools to engage in the ongoing Jewish practice of evaluating if, how, and when to reframe oppressive tropes into liberatory ones. Why a Jewish Social Justice Community? Why might we choose to do social justice work with a Jewish lens, rather than from a secular perspective? Does it matter if we do this work in community? Why or why not? This session will enable participants to explore the ways in which both the personal experience of activism and the efficacy of the work itself might be enhanced by the context of a supportive Jewish community. Participants will also be given space to think through how they might want to start or grow their own Jewish social justice work. The idea of intersectionality–theories about how gender, national identity, or other statuses can compound the impact of oppression–may seem to be a new one. However, Jewish tradition and texts have long demanded a systemic approach to fighting inequality, and have long recognized that some classes of people are uniquely vulnerable. This session will look to ancient wisdom to help us better understand how to create a more just world today. It will utilize a range of traditional Jewish texts as well as data about poverty in the United States to help us explore how we can best understand the complexities of poverty, including the way race, gender, age, national origin, ability and sexual identity can come into play. Participants will walk away with the perspective necessary to bring these ideas into their work—both programmatically and strategically. This session aims to situate service and volunteer work within the larger context of systemic poverty and to help participants understand the opportunities and limits of various modalities of social action programming. Participants will explore the large-scale systems related to poverty, as well as the root causes and some of the ways in which the impact is made visible. They will explore the various levels in which the root causes of poverty function and will gain an understanding of how these issues impact people’s lives on a variety of levels. Through interactive workshopping, participants will develop game plans to create or adapt social action or service projects to reflect these new insights, in order to have an even stronger impact towards a more just world. This session will explore the importance of connecting one’s social justice work to one’s own personal vision and passion. Participants will examine several different methods of social change, including direct service, advocacy, and community organizing, and discuss the pros and cons of each method. They will look at how Jewish organizations have used these methods alone and in combination with one another. 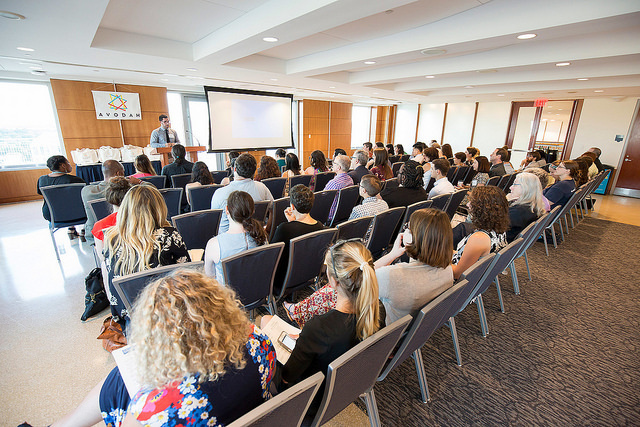 With this understanding of what “activism” can be, and of how that activism connects to Jewish values, participants will investigate their own passions and talents, and begin to develop a personal vision for their own ongoing social justice work. From cohort experiences to community organizing to our personal and professional connections, strong relationships are clearly key to advancing work for collective justice. How can we work to cultivate relationships that help complicate our thinking, to consider perspectives outside of our comfort zones, to resist complacency and to live our values as fully as possible? In this session, participants will discuss and study a range of the ways that this approach can be built into programs and look at how to apply those methods to many different kinds of relationships in our lives. For teens, or younger audiences, please also see Tikkun Olam: Our Turn, and please contact us at [email protected] if there is another topic you are interested in. The fees for our teaching below are based on a 2-hour session with one educator, using our existing materials, in addition to out of city travel fees, if any. Longer sessions, shorter sessions or other special adaptations will involve adjustments to this range–we’re happy to discuss ways to meet the needs of your community!